For the last few years Non-Muslims, Christians in particular and their churches, came under attack on several occasions. After every such attack the government simply issues a condemnation statement and announces some material relief for the relatives of the victims, before carrying on with business as usual. 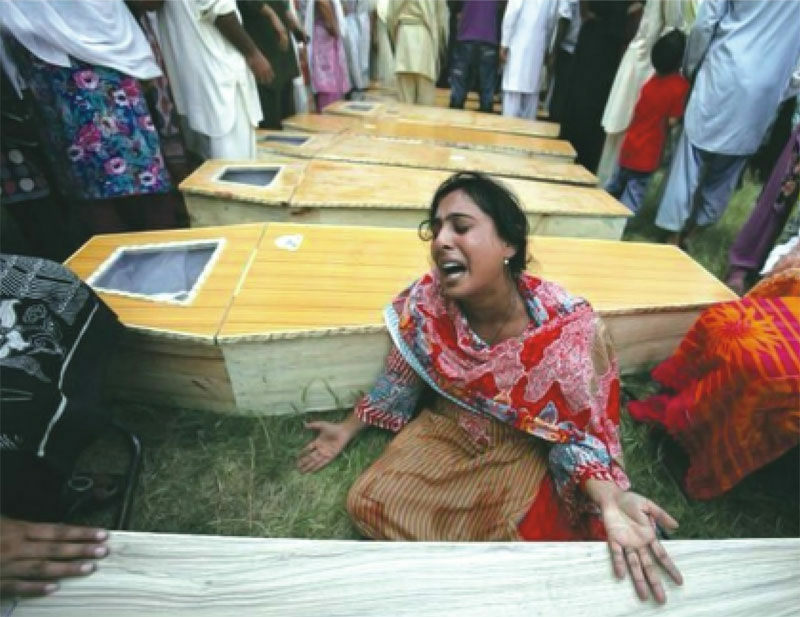 Attack on minorities living in Pakistan is not a unique local phenomenon. It has become a routine matter all over the world including in the world’s “biggest democracy”, India and its leading super power, America. In India attacks on Muslims and Christians and their places of worship have been consistent while in recent time Muslims and their masajid started facing attacks in Europe and America. Democracy cannot actually provide security to minorities living under its rule because it has been designed to protect the majority and powerful segments of the society. In Pakistan this matter has been complicated many fold because of Pakistan’s inclusion in America’s so-called war against terror. Places of worship of both Muslims and Non-Muslims have been targeted in order to prove that this US war against Islam is actually our war against terrorism. After every such false flag attack some shadowy organisation with Islamic names claims responsibility but what they claim is totally against Islam. These false flag attacks only fulfill the interests of US and its agent rulers imposed on Muslims world who use these incidents as an excuse to go after people who either fighting US occupation forces over Muslims lands or doing political and intellectual struggle for the implementation of Islam in the Muslims world. Hizb ut-Tahrir adopted in its Draft Constitution of the upcoming Khilafah state, under article 6, "The State is forbidden to discriminate at all between the individuals in terms of ruling, judiciary and management of affairs or their like. Rather, every individual should be treated equally regardless of race, deen, colour or anything else”. So only Khilafah state guarantees Non-Muslims to live and worship according to their beliefs, and their life, property and honour are also protected as well as they used to live in past under the shade of Khilafah state when they escaped from the persecution of their native states and took refuge under Islamic Khilafah. "جس کسی نے معاہد شخص کو قتل کیا جس کو اللہ اور اس کے رسول نےعہد دیا تو اس نے اللہ کے عہد کو توڑا۔ ایسا شخص جنت کی خوشبو بھی نہیں سونگھ سکتا حالانکہ جنت کی خوشبو ستر سال کے فاصلے پر بھی سونگھی جاسکتی ہے"